Today it could be argued that human beings daily act against our own self-interest. How? Biologist Paul Ehrlich and fellow scientists tell us we are expanding our population and economy beyond the Earth’s carrying capacity– at our peril. Why do we insist on continuing? Ehrlich has been a keen observer of human behavior for over 50 years, and he thinks “we need a millennium assessment of human behavior.” If we can understand how we behave, and why we behave that way, perhaps we can figure out how to behave as though we want to hang around another thousand years. Ehrlich is best known for authoring The Population Bomb, published in 1968 at the suggestion of the Sierra Club’s first executive director, David Brower. 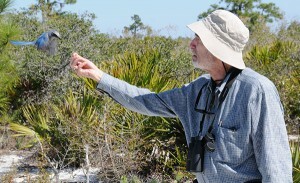 Paul’s wife, Anne Ehrlich, co-authored the book (though the publisher insisted only Paul’s name adorn the book). Paul and Anne preferred a different title, Population, Resources and Environment, as the book was about much more than human population. The book offered dramatic warnings about the impact of the expanding scale of the human enterprise, which included not just the number of people on the planet, but also their behavior – levels of consumption and the size of their economies. Can technology and innovation perpetually expand the carrying capacity of our planet? 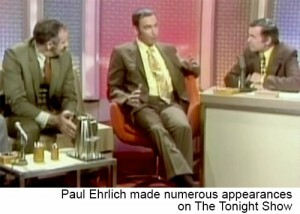 In this 2007 interview, only very brief portions of which have ever been released, Paul Ehrlich shares his opinions on population, economics, hunger and poverty, and climate change. He takes aim at politicians, economists, television news, and human beings in general. This is the tenth in our series of podcasts and radio programs. We post a new podcast episode every Thursday. Be sure to subscribe! You can find us at iTunes, SoundCloud and Stitcher, or sign up to get an email every Thursday with the newest episode. If you like what you hear, please support this project with a tax-deductible donation. Your comments are invited below. Why do you think we behave in ways that guarantee our own extinction? Indeed, I had no idea that there were so many people who take their shoes off to count past 10. As far as I can tell, most people don’t understand the population part of the problem — and that includes many academics! It actually takes a little effort for the nonspecialist to gain a respectable understanding of ecology and evolution. I note that in the high schools of Nova Scotia they DON’T teach evolution and they substitute environmental platitudes for ecology. As for population leveling off, it seems that misery will be the cause of that. That is the thing that pisses me off. We should be talking about what population level enables the best quality of life, for ourselves and our planetmates. Instead we are arguing about how many people can be fed! And another beef: It is long past time for spell checkers to recognize “planetmates” as a legitimate word!